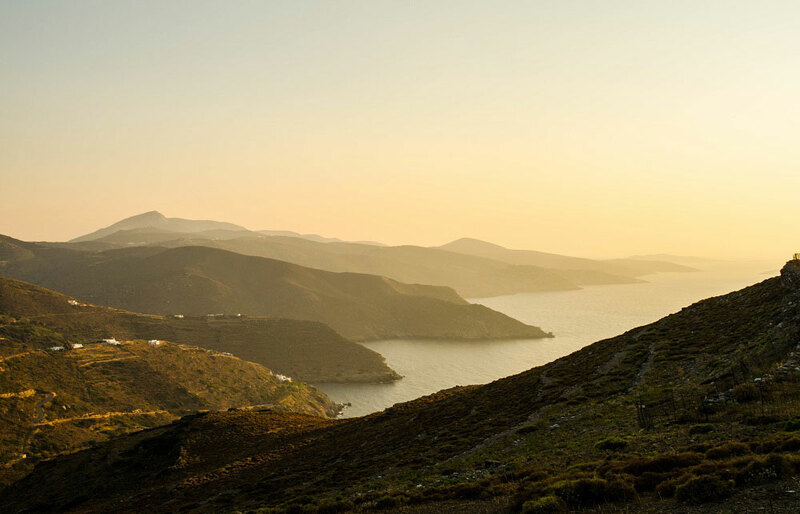 Follow a hiking trail & learn about the history and cultural aspects of Amorgos that has inspired world-known artists with its untamed beauty! 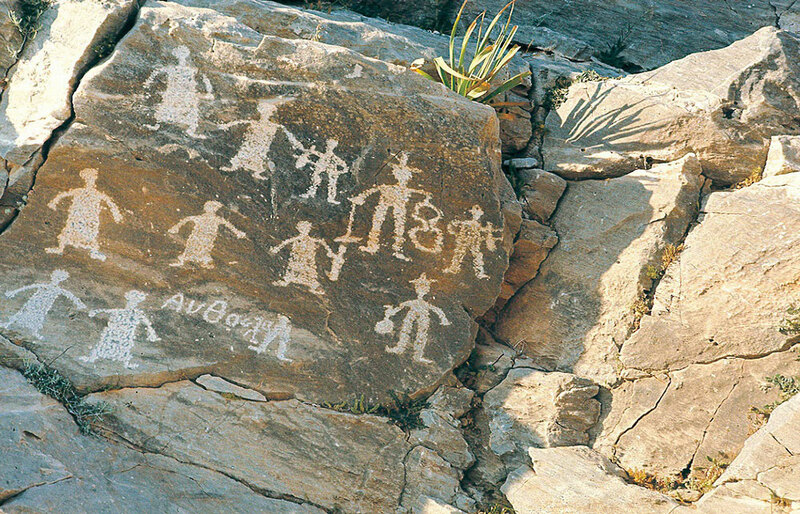 Its virgin landscape awaits for you to walk around its unspoiled nature, important monuments and picturesque villages. 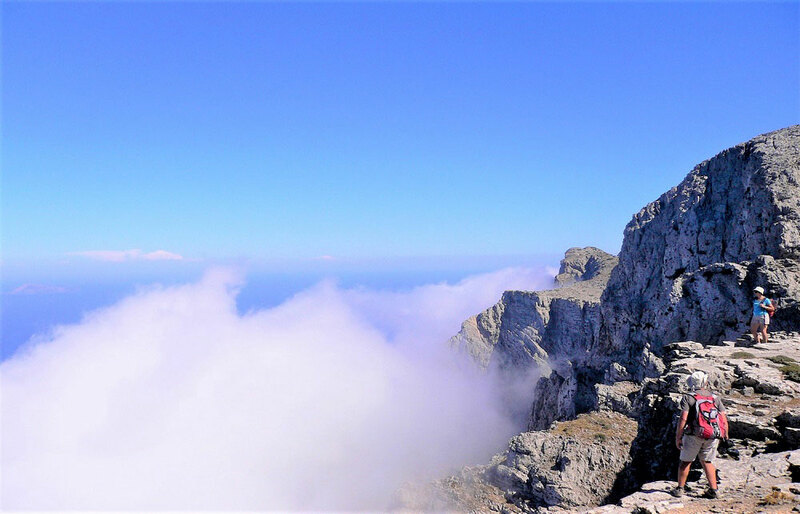 Whether you are a hiking lover or simply a nature enthusiast here is an experience you should not miss! 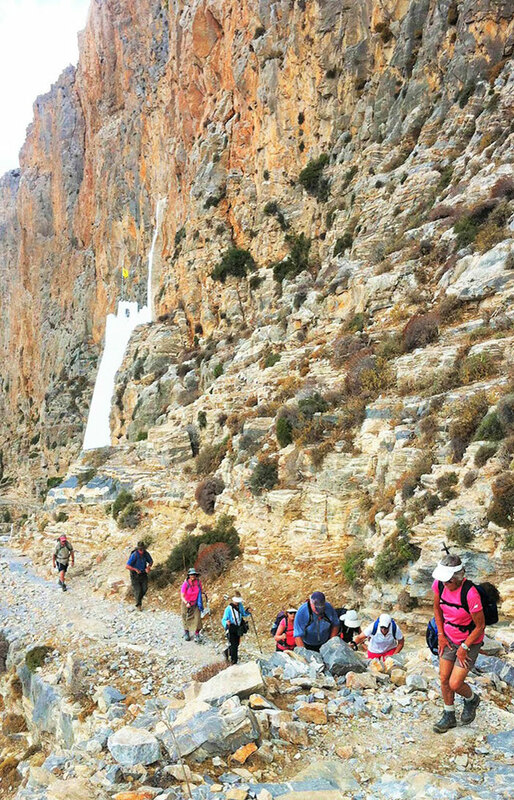 One of the most popular hiking paths connects the two traditional villages within Aegiali bay, Tholaria and Langada, and passes through a small village, Stroumbos. 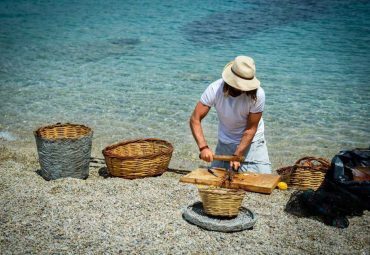 It is an excellent way to discover the lifestyle of the inhabitants, their traditions and the typical ambiance of the traditional cafés (“Kafeníon”). 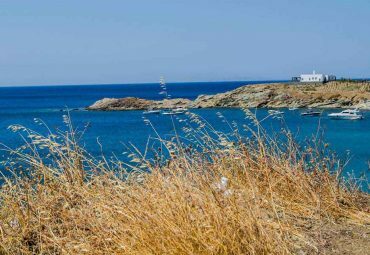 This hiking route crosses the most picturesque part of the island and offers fascinating views combining sea, mountain and local vegetation. 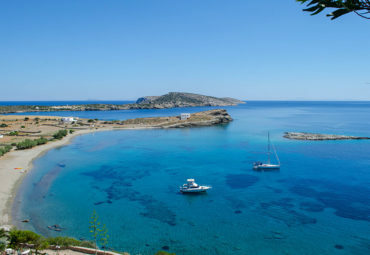 One can see whitewashed chapels from all periods, sometimes built on ancient sites; the remains of a tower of the Hellenistic period; terraced fields, lined with magnificent dry stone walls and an overview of a small canyon, Araklos. The paths have been made using a variety of paved stones, ranging from deep black to bright white. 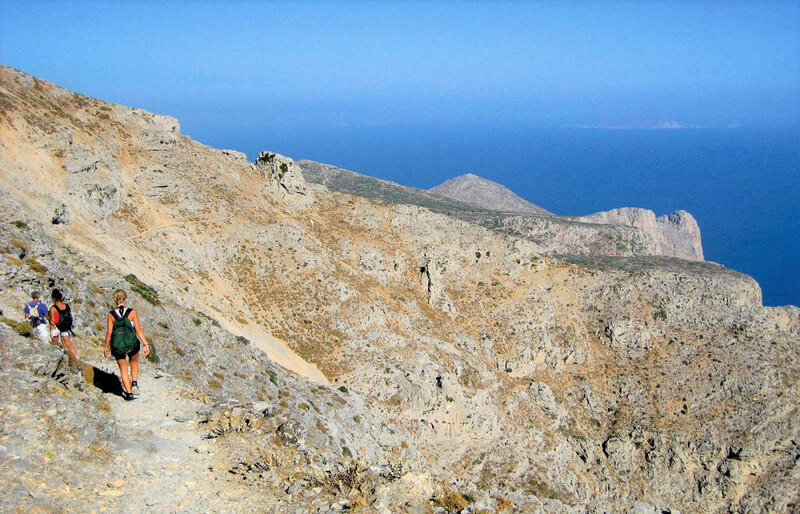 This trail offers the opportunity to reap a nice sample of the famous aromatic and medicinal plants of the island. This route is suitable for persons with no previous experience. Children (3-12 years old) are welcome to participate with parental guidance. Please bear in mind that all tours are not suitable for participants with heart problems or other medical conditions. 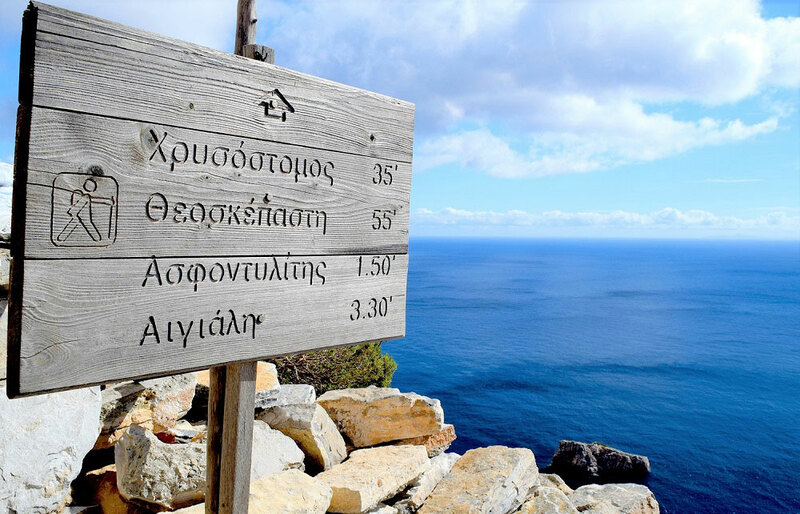 One of the most popular hiking paths connects the two traditional villages within Aegiali bay, Tholaria and Langada, and passes through a small village, Stroumbos. It is an excellent way to discover the lifestyle of the inhabitants, their traditions and the typical ambiance of the traditional cafés. 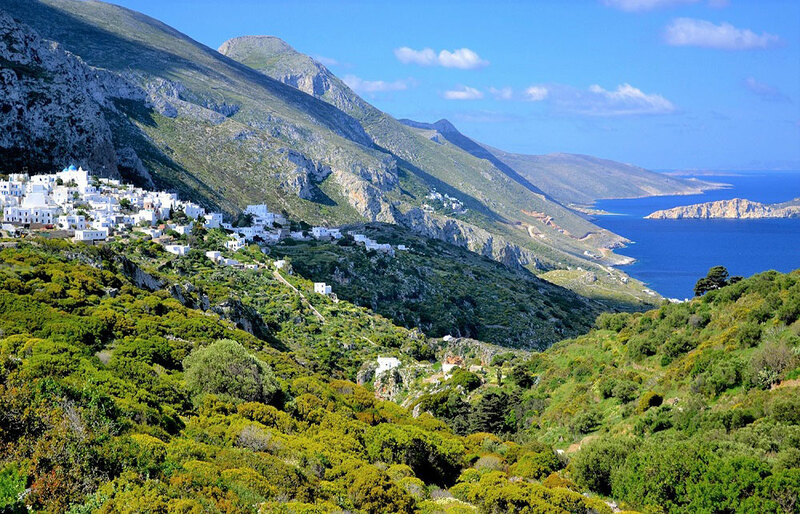 The best way to see the truly unique beauty of Amorgos if you are a nature lover!